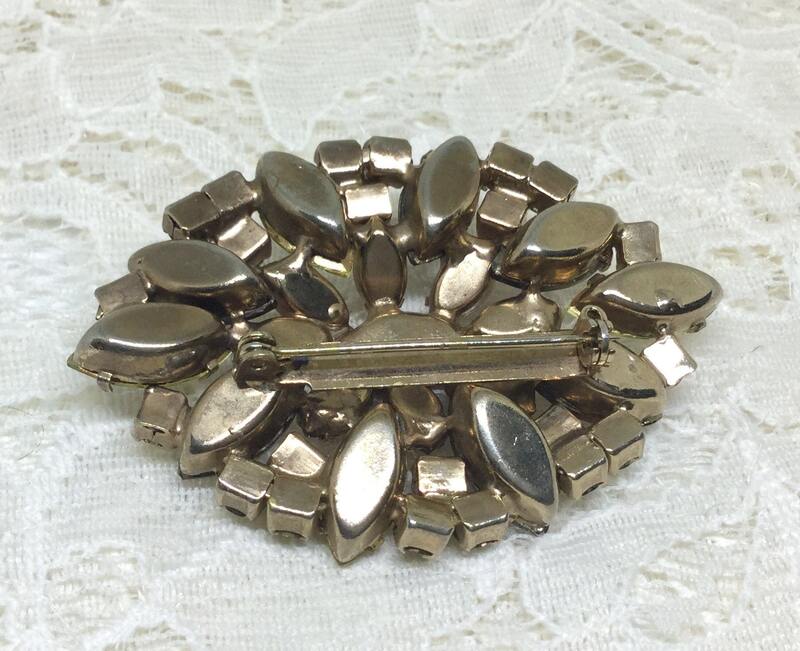 This is a wonderful vintage unsigned gold tone brooch that has an oval openwork design. 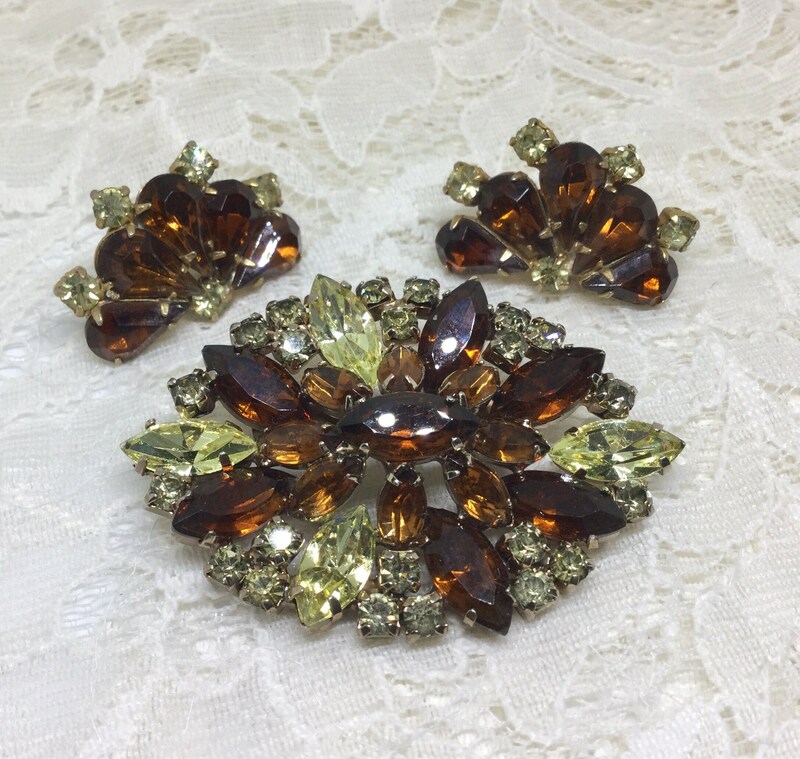 The faceted and prong set rhinestones are two shades of amber navettes and jonquil yellow round and navette rhinestones. 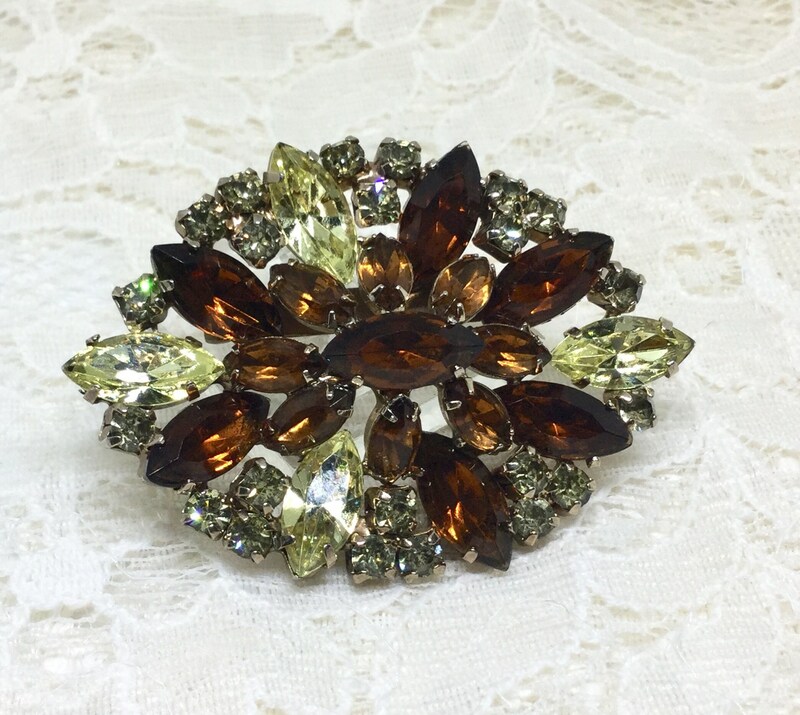 The back shows some wear, but the front is beautiful. 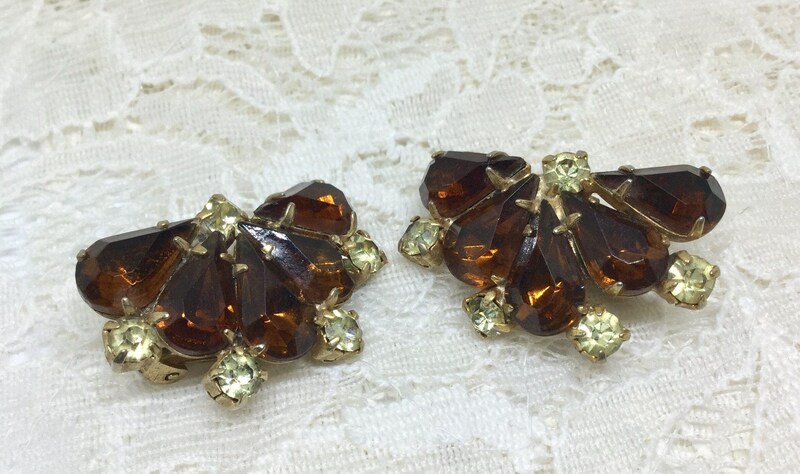 The matching earrings are fan shaped with five large amber teardrops and five small round yellow rhinestones. 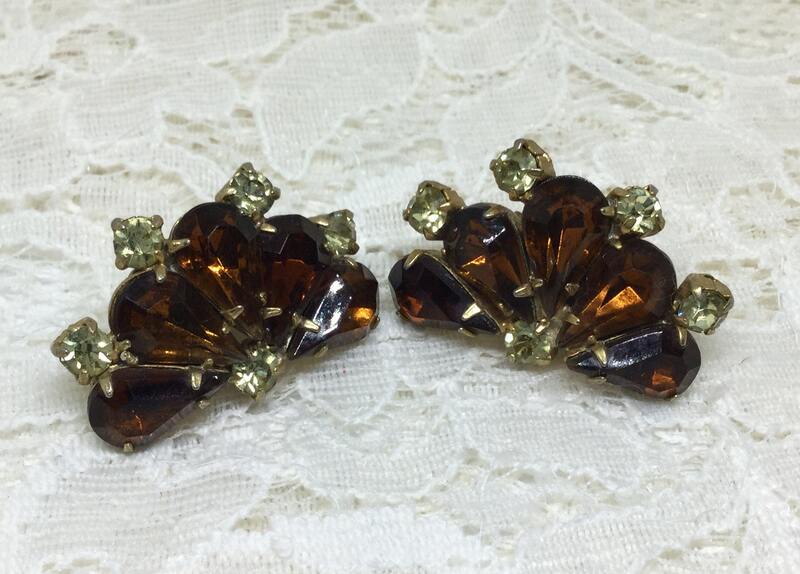 The earrings have secure and tight clips and measure 1 1/4” x 3/4”. 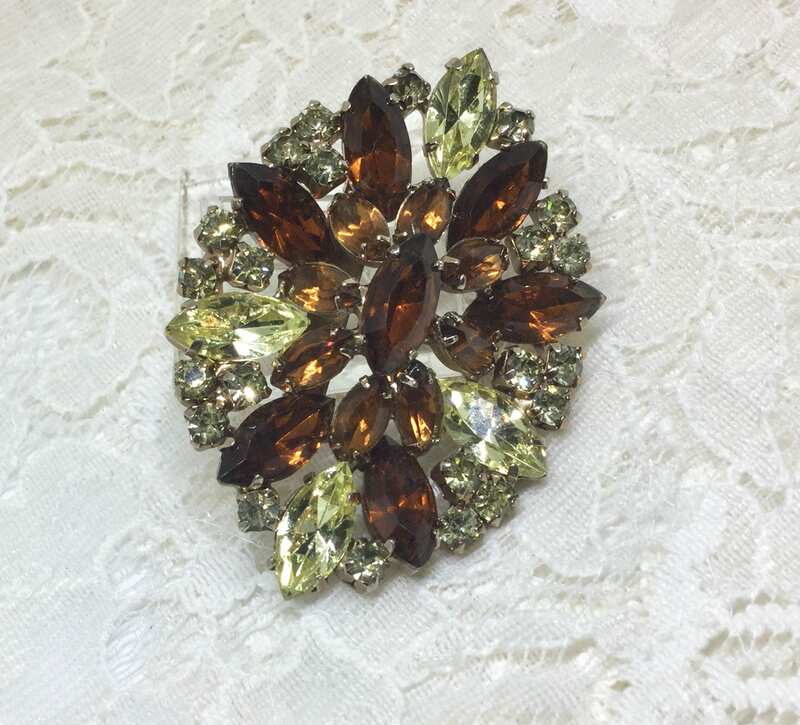 The brooch measures 2 1/2” x 1 3/4” and the pin closure is straight and works smoothly and securely. 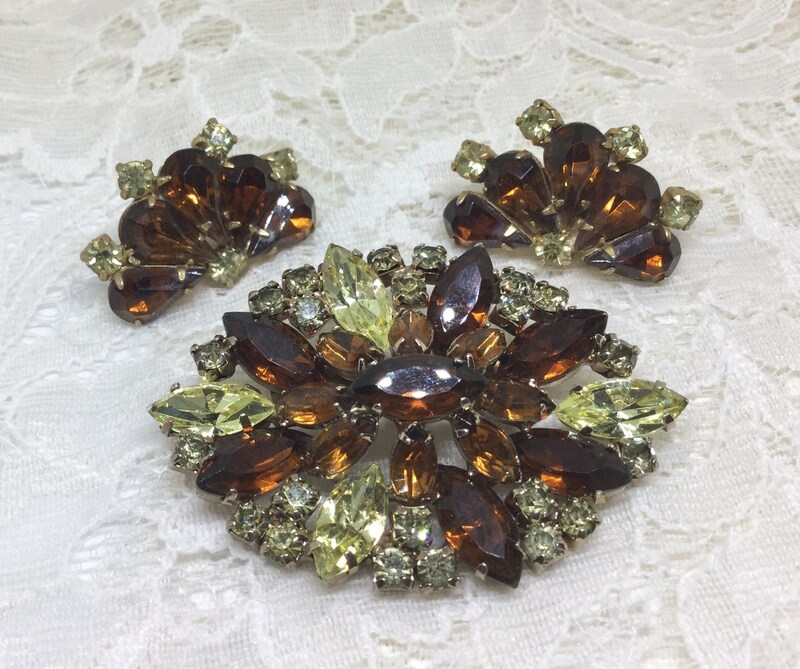 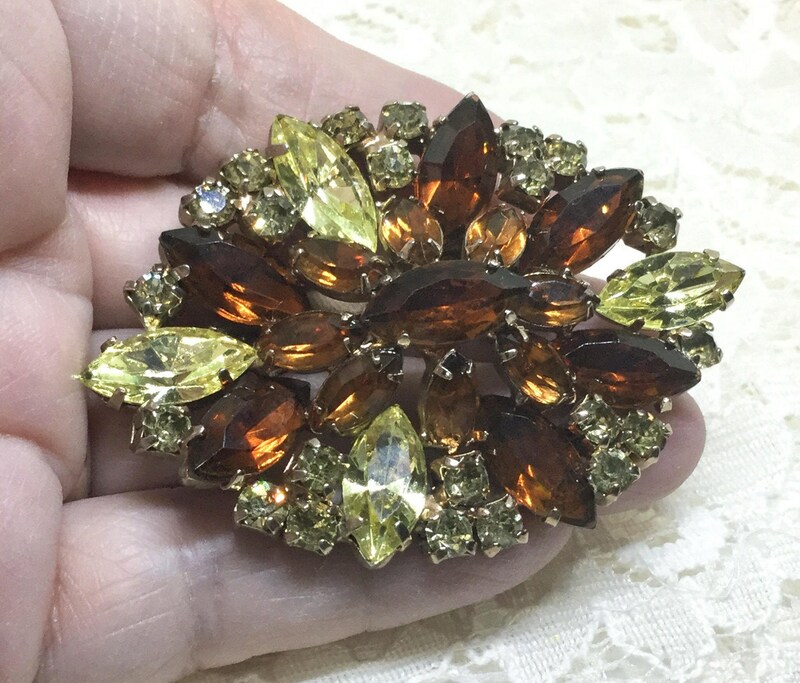 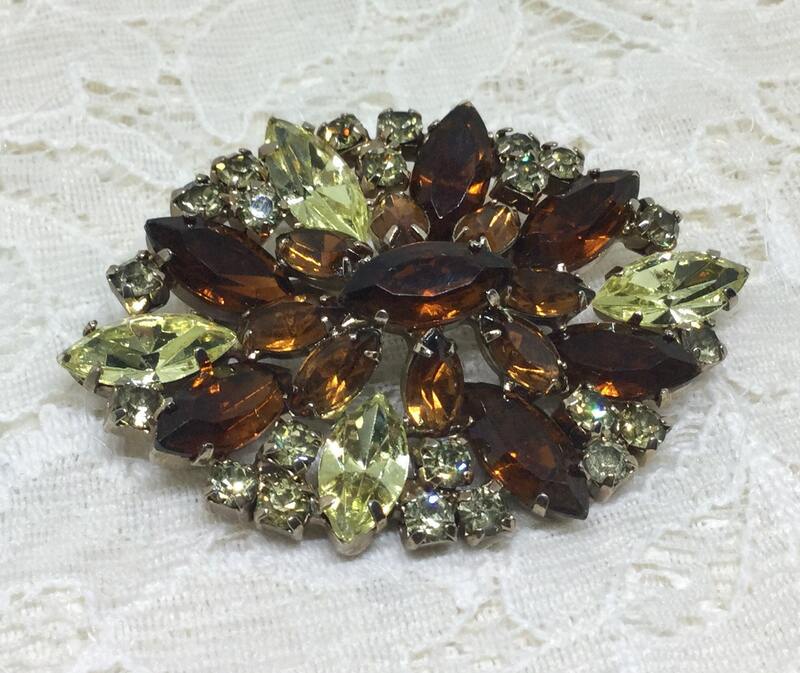 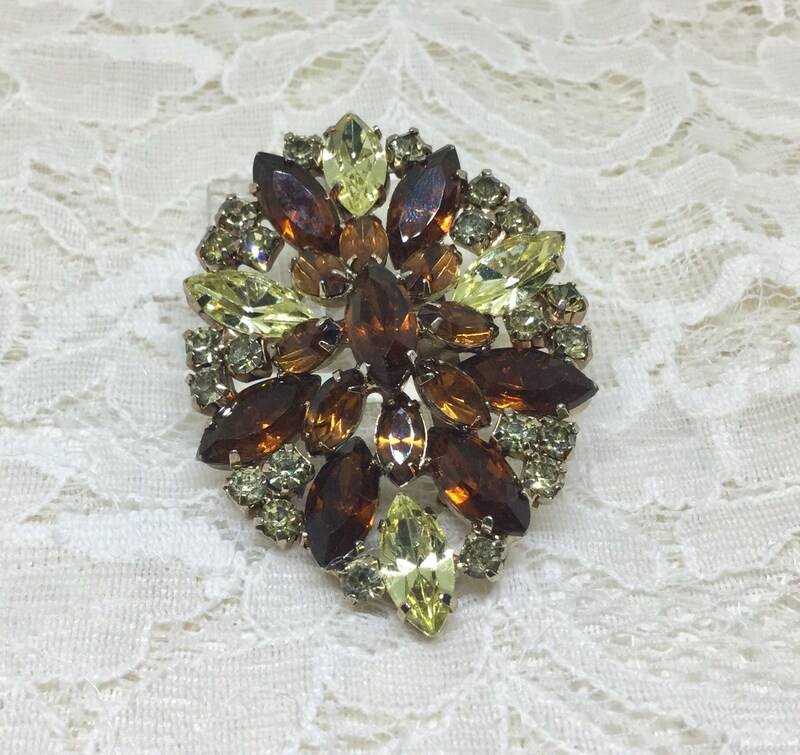 This is a gorgeous sparkling brooch with it’s warm amber and jonquil colors ready to wear for casual or party time!